A year after half-sisters Ara Mina and Cristine Reyes' public feud, a photo posted by the latter on her Instagram account confirms that the estranged sisters have decided to put their differences aside and have reconciled. Ara confirmed the reconciliation to PEP.ph's contributor Gorgy Lura via text message noting that she felt Cristine’s sincerity in trying to reach out to her. 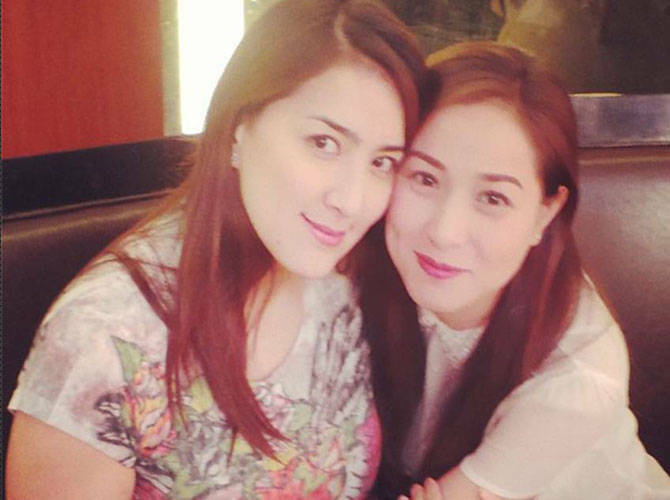 During their feud, Ara filed a lawsuit against her younger sister for libel after Cristine reportedly attempted to tarnish Ara’s reputation to their family and friends. The charges have since been dropped following the recent development in their relationship.